Warm season’s greetings to you—with our best wishes for peace, happiness and joyous compassion through 2018 and beyond! May all the holy wishes of His Holiness the Dalai Lama, Lama Thubten Yeshe and Lama Zopa Rinpoche be fulfilled perfectly without delay. We send our heartfelt thanks to all of you supporting the FPMT mission as students, staff, benefactors, and friends. We rejoice in the great beneficial efforts of the entire FPMT family. 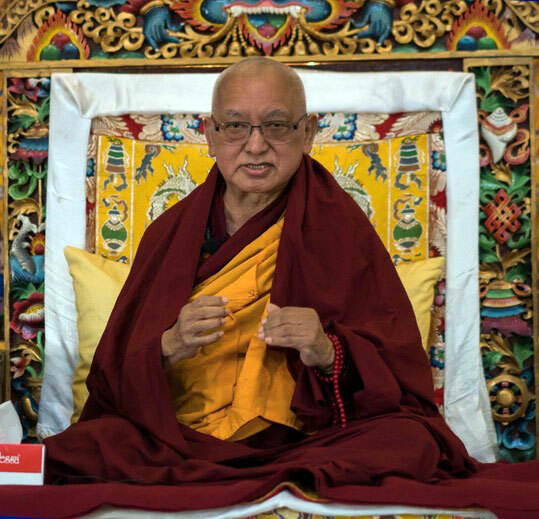 Lama Zopa Rinpoche, Italy, October 2017. Give Where Most Needed: Our Year-end Generosity Campaign! New Issue of Mandala Magazine! —50th Kopan One Month Lamrim Course! —New Center and New Study Groups! —Two Fruitful Foundation Service Seminars! There are new additions to Lama Zopa Rinpoche’s schedule for 2018 – and dates for the Light of the Path Retreat in 2019! Please note that the dates for the Most Secret Hayagriva Retreat in Malaysia have been slightly updated. Registration for this retreat will open in January. 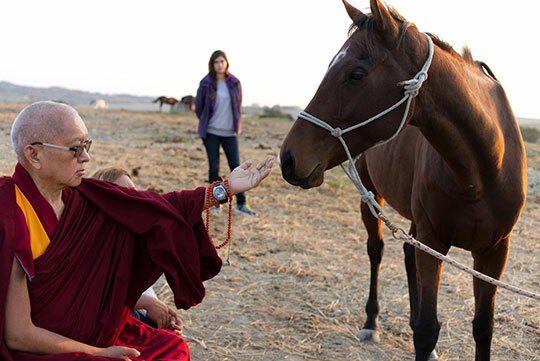 Lama Zopa Rinpoche blessing a horse at Aquila Nera sanctuary, Italy, October 2017. Photo by Ven. Lobsang Sherab. In these festive last days of the year, we are inviting support through Give Where Most Needed contributions. Your Give Where Most Needed offering can help any FPMT activity in need, and be available when new projects arise, such as translating the new Inner Job Description App into five languages, or aiding unexpected shortfalls and needs for other Dharma activities. If you can help us reach our goal, every offering makes a difference! In Mandala January-June 2018, just published, we explore what Buddhism offers the world in times of global difficulties to help pacify suffering and bring about peace. 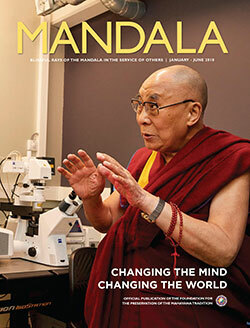 In this issue, His Holiness the Dalai Lama encourages Buddhists to share the wisdom and thinking of the Buddha and the Nalanda masters in secular ways; the Foundation for Developing Compassion and Wisdom offers snapshots of its activities around the world; and several FPMT centers, projects, and services share their approaches to being compassionate world citizens. We also take an in-depth look at the Inner Job Description, a mindfulness practice tool designed to help those offering service or working in any job transform their efforts into profound, powerful Dharma practice. 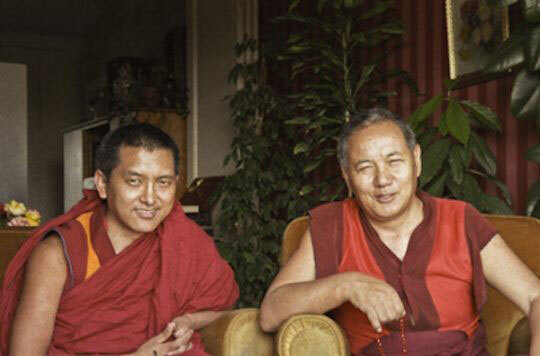 Plus, teachings from Lama Yeshe, Lama Zopa Rinpoche, new photos, interviews, and much more! Become of Friend of FPMT to receive Mandala, or find it at the Foundation Store. Investing in education through schools is one way we can invest in the future and help break the cycle of poverty in disadvantaged areas, particularly in India and Nepal. 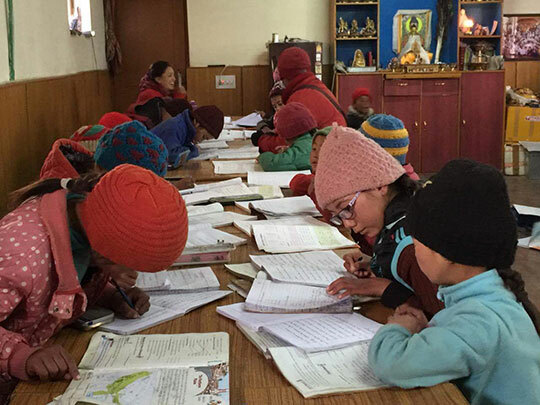 The Social Services Fund offers over US$73,000 annually to schools providing education to children of Tibetan, Nepali, Sherpa, and Indian heritage. The grants cover daily food for operating expenses for over 500 children. We invite you to rejoice in this incredible offering that is providing substantial and meaningful help to the next generation. You can read more about this work to support schools. The Crying Child’s Tormented Calling of the Perfect Destroyer Qualified Gone Beyond Exalted Mother Tara, written by Pabongka Rinpoche and translated by Lama Zopa Rinpoche. Find this and other prayers and practice on FPMT.org and the Foundation Store. Find Lama Zopa Rinpoche’s advice for centers, projects and services collected for you for easy reference! 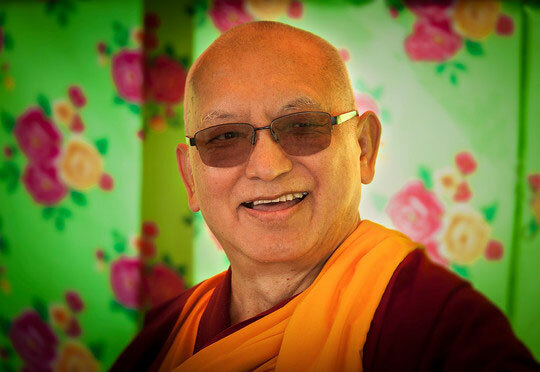 In the Practices section of the Collected Advice, we’ve recently updated Rinpoche’s Daily Practice Advice for FPMT Communities. Lama Zopa Rinpoche teaching during the one month course, Kopan Monastery, Nepal, December 2017. Photo by Ven. Lobsang Sherab. Lama Zopa Rinpoche just taught the 50th one month Lamrim course at Kopan Monastery! Congratulations to Yeshe Norbu, Sweden, which has successfully affiliated and made the transition from study group to center! Participants during the recent FSS in Singapore. 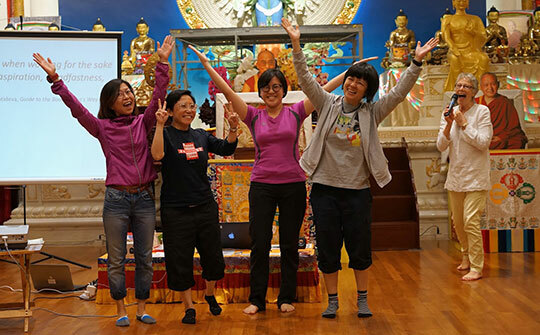 FPMT Spain, and Amitabha Buddhist Center, Singapore, each recently hosted a Foundation Service Seminar. One participant commented: “Wow, wow, wow! I just wanted to thank you for the FSS. It’s a wonderful seminar. It is so inspiring to hear everything that FPMT has done and is doing, and is planning to do! Also, so inspiring to hear about what the other centres are doing”. Le Service de traduction francophone de la FPMT est heureux de vous annoncer la publication de Pratiques d’offrandes vastes. Ce livret est disponible en papier et en ebook. Would you like to spend your days in a very meaningful way? 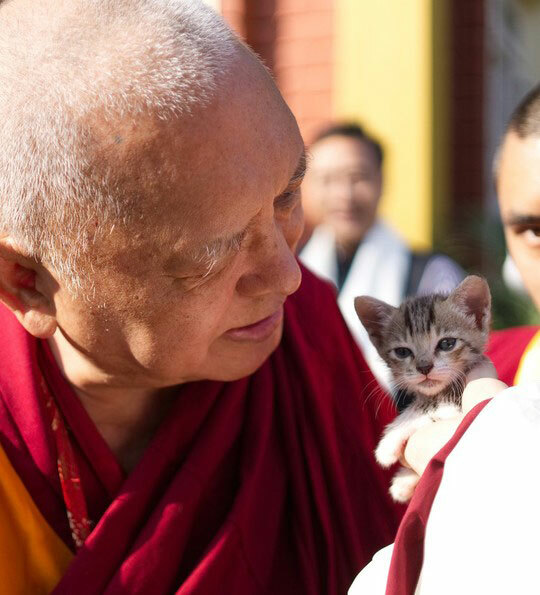 Have a look at the regularly updated meritorious opportunities to offer service as a volunteer or as paid staff in FPMT centers, projects, and services around the world. Newly added: In Australia – Chag Tong Chen Tong Center in Tasmania needs a spiritual program coordinator; Atisha Centre is looking for an accommodations manager and volunteer coordinator. In New Zealand, Mahamudra Centre needs an operations manager, and has various volunteer openings. In France, Institut Vajra Yogini has opportunities for student-residents. With grateful thanks for all the Dharma benefit achieved.